BMW 5 Series Running Costs, MPG, Economy, Reliability, Safety | What Car? Broadly speaking, the BMW 5 Series is priced a little lower than its closest rivals, the Audi A6, Jaguar XF and Mercedes-Benz E-Class. The 520d (2.0-litre diesel) is by far the most popular version and emits from just 117g/km of CO2, making it a great-value company car (the 518d is barely any more efficient at 116g/km). That's quite a bit better than the E220d, although the A6 40 TDI is better still. As long as you steer clear of the petrols, fuel economy should be good, too. Every diesel engine is impressively frugal, but again it’s the 520d that really stands out. Officially, it can average up to 62.7mpg, although on our real-world True MPG fuel economy test it managed 43.5mpg. That might sound unimpressive compared with its official figure, but it’s better than the E220d managed. On paper, the 530e iPerformance is the most frugal of the lot, with BMW claiming that the car can achieve 128.4mpg and 49g/km of CO2. However, when we were testing on a private track fuel economy dropped to 33.1mpg once the battery was depleted. It's clear that the car makes the most sense if you always keep the battery topped up and do relatively short journeys, or just want to take advantage of the cheap company car tax. The desirability of the BMW badge helps keep other costs down, too. Resale values are among the best in the class, so private buyers will get back a decent chunk of what they paid for the car when they sell it. Leasing and PCP finance rates are usually highly competitive, too. Meanwhile, discounts are available if you're prepared to haggle. Entry-level SE trim is the one we’d go for, because it’s the cheapest but still comes stacked with equipment. Among the luxuries it gets as standard are heated leather seats, the 10.25in infotainment system we mentioned earlier, dual-zone climate control, LED headlights, front and rear parking sensors and 17in alloy wheels, so you’re hardly left wanting. M Sport trim is extremely popular, thanks largely to its more aggressive body styling and bigger alloys, but you also get stiffer suspension that does little for ride comfort. You can delete that and have the standard suspension instead for no extra cost, but even so we’d go for SE and spend the extra cash on a few choice options, chief among which would be adjustable lumbar support, along with split-folding rear seats and the Variable Damper Control (VDC) adaptive suspension. There’s a massive range of luxurious options to choose from, too, including adaptive cruise control with steering assist, ventilated or massaging front seats, rear entertainment screens and even a night vision camera. In our latest Reliability Survey, BMW finished a mid-table 16th of the list of 31 manufacturers, way below Lexus, but above Audi, Jaguar and Mercedes. 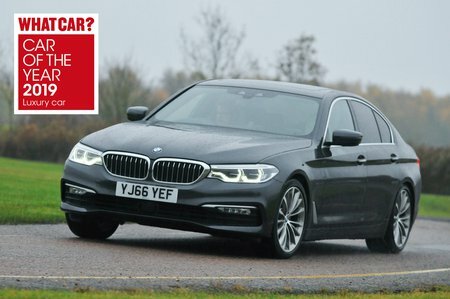 That was for the brand overall, but singled out, the current 5 Series has proved pleasingly reliable for its owners. Thankfully, if something does go wrong, all 5 Series come with a three-year, unlimited-mileage warranty, which is similar to the cover provided by most rivals. All models come with a minimum of six airbags and a host of electronic driver aids, including stability control. Automatic emergency braking, with pedestrian detection, is also standard, to reduce the chances of you accidentally running into the car (or person) in front. Optional safety kit includes lane departure warning, automatic high-beam assist for the headlights, a driver fatigue detector and speed limit recognition. We’d recommend considering the Driving Assistant option, which bundles together all of the key active safety aids for a very reasonable price. 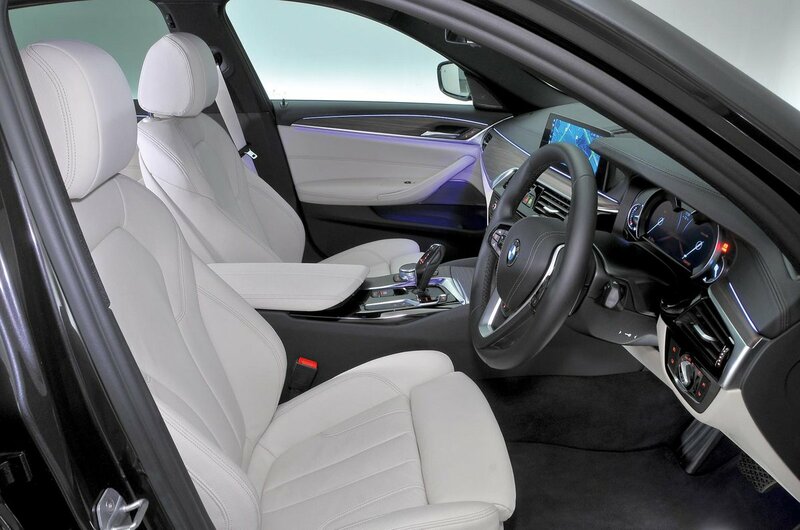 The 5 Series scored the full five-star Euro NCAP rating for safety, with a very impressive 91% score for adult protection. All of its main rivals also scored five stars. 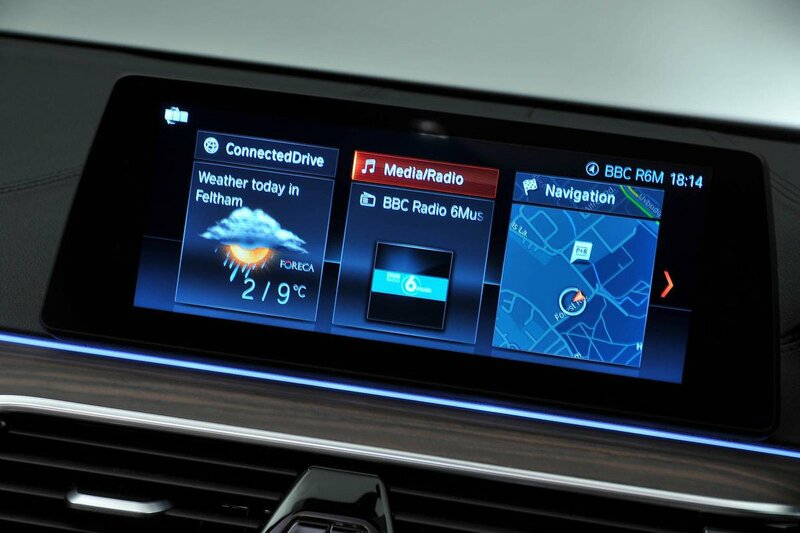 An alarm, engine immobiliser, deadlocks (which prevent a door being opened, even if the window is smashed) and locking wheel nuts are fitted to every 5 Series to ward off thieves. Security expert Thatcham awarded the car five out of five for its resistance to being stolen and four out of five for its resistance to being broken into.